Arriving home Saturday night was wonderful! 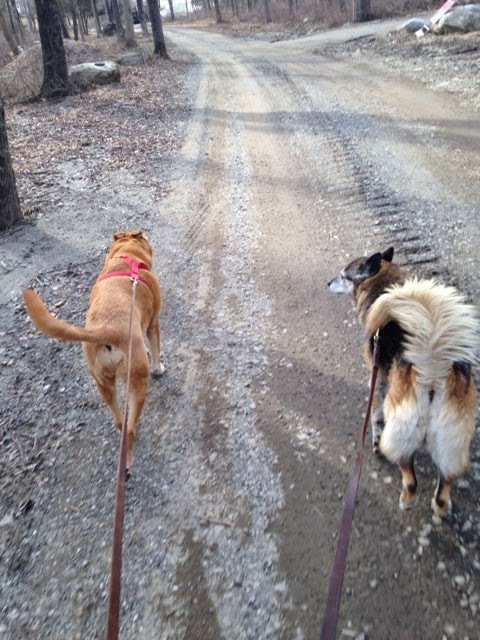 As we pulled up the gravel road, Moon and Copper came running to the fence and it's gate. Hopping out of the car as quickly as I could and running to the fence in the dark, I saw their faces poking through the wooden slats and their tails wagging!!! Kisses on my face and cries of happiness filled the air while the Pres removed our luggage from the trunk of my daughter and Angel's SAAB. Yes, we were HOME! Tomorrow would be a whole new day for us to enjoy!!! Dear JP.. i can feel the happiness through your words.. Arriving home and Moon and Copper wagging their tails and barking with happiness. Its wonderful to be home. yes, what a lovely trail and a wonderful sight of two love filled canines. i echo valerie's comment about how your comments emit joy. There's nothing like a welcome home from a much loved pet. There's nothing better than being welcomed home by your pets. How wonderful to be met by those who love you so!! Vacations are wonderful, but there is no place like home - right? Welcome home, JP, after another wonderful vacation and more adventures to come. What a great way to be welcomed home. I'm catching up on your blog --Welcome back home JP! I do hope all was well on your return, you certainly had a great welcoming committee, no question, but are you feeling a little sucker-punched by Old Man Winter? :-)!! Bet the dogs were happy to see you.